For those with Celiac disease or a serious gluten sensitivity, when you want to indulge in breads, pastas or baked goods, gluten-free is the only viable option. In addition, many people are simply health-conscious, and choose to avoid gluten because they believe gluten-free foods are a “less bad” choice. In those instances, gluten-free products provide a wonderful alternative to “traditionally” processed foods. But should gluten-free foods be a staple in your diet? Last month, Badier Velji (a Whole9 Envoy Extraordinaire, and author of The Lazy Caveman) published a guest post on our blog about going “gluten-free.” In his post, Badier noted that gluten-free diets are trendy, but outlined why gluten-free breads, pastas and cereals were not a healthy and guilt-free choice. We agree 100% with his stance, and talk about why going “gluten-free” won’t solve all of your health concerns in our Foundations of Nutrition workshops. But for those of you who are looking for a way to translate Badier’s technical material into easy-to-understand talking points, let’s address our general concerns with gluten-free one by one in this series “part 2”. Gluten is the most widely studied grain protein, but that doesn’t mean there aren’t still inflammatory, gut-disrupting, immune-system-provoking problems to be found in other (lesser studied) non-gluten grains like oats, rice or corn. 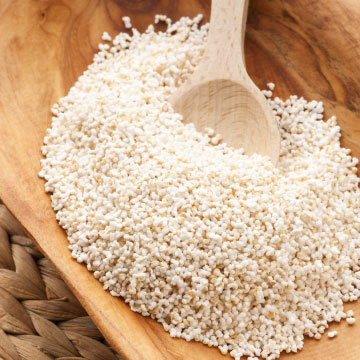 As Badier’s post outlined in great detail, other grains still contain potentially inflammatory proteins, compounds that may promote gut permeability and fire up the immune system, and anti-nutrients that bind to minerals like calcium and magnesium, rendering them unusable in the body. Many with gluten sensitivities report similar reactions when consuming non-gluten grains, leading us to believe that there are bigger problems with “grains” (including non-grains like quinoa) than gluten. The lesson? Don’t be fooled into thinking gluten-free foods are automatically healthier for you. The large amount of carbohydrate in many gluten-free foods leads to a rapid blood sugar rise, followed by a large rise in insulin – and high levels of both blood sugar and insulin are profoundly toxic and inflammatory in the body. We avoid grains in general because, compared to vegetables and fruit, they are nowhere near as nutrient-dense (a natural source of vitamins, minerals, and phytonutrients). Gluten-free products are still made with grains – and often, they’re even more heavily processed than their gluten-containing counterparts. (More processing = less nutrition.) Swapping out all grains in favor of vegetables and fruit ensures bountiful nutrition, calorie for calorie. Take note, people: There is nothing – not vitamins, minerals, fiber or phytonutrients – found in grains that you can’t find in copious amounts in fresh vegetables or fruits. In a recent Whole30 poll, 43% of folks said their primary motivation for taking on the Whole30 program was, “Banishing my sugar demons.” Giving up cookies, cakes and breads is an overwhelming challenge for many people, as the sugars, artificial flavors and carbohydrate content of many desserts and sweet treats promote powerful, stubborn cravings in the brain. And if this is your story, gluten-free foods aren’t helping your cause. Bread is still bread (and a pancake still a pancake), regardless of the grains with which they are made. If you are actively trying to break your carbohydrate addiction or curb your wicked sweet tooth, you will make more progress by avoiding those kinds of foods altogether for a while. (In fact, that’s one of the rules of our Whole30 program.) Change your habits and learn to make new foods (instead of just replacing your old, unhealthy foods with new ingredients) and your cravings and addictions will be far easier to let go. A “gluten-free” label doesn’t automatically equal “healthy choice”. In fact, we don’t think any gluten-free processed foods (whether they be breads, pastas, pancakes or brownies) are designed to make you healthier – and that makes them a poor choice as everyday food. We hope this has given you some easy to remember talking points around gluten-free foods. Post questions, comments or additional resources below.